It has been revealed that the senator representing Kogi West at the National Assembly, Dino Melaye, never graduated from the Ahmadu Bello University, Zaria as is being claimed. 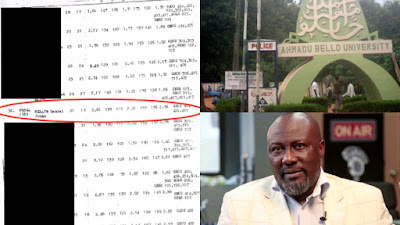 According to the report by Sahara Reporters, Dino Melaye never graduated from the department of geography from ABU. The report also claims that the DSS was alerted over this but that the security agency covered it up. According to his Wikipedia page, Dino Melaye graduated with a Bsc in Geography from Ahmadu Bello University Zaria adding that about 30 undergraduates are currently enjoying scholarship under his education empowerment fund.